A surrender of parental rights, also known as a relinquishment in Colorado, allows another party to take custody of a child and proceed with an adoption. State law terminates a birth parent's rights after a court-approved relinquishment. After the relinquishment, the birth parent no longer has custody rights and support obligations. However, the child remains the birth parent's heir by law until another person adopts the child. In general, a birth mother must agree to surrender her parental rights in Colorado before an adoptive parent can adopt the child. A birth mother can surrender her rights to a licensed adoption agency or to the adoptive parents directly. However, a birth parent can lose her parental rights through an involuntary termination of parental rights by a Colorado court after a finding of unfitness as a parent or parental abandonment of the child. If the state has already terminated the mother's rights, she does not need to take additional steps to surrender her child for adoption. Colorado paternity laws determine a father's rights. In general, a birth father with parental rights must surrender them before the child's adoption can occur. A married man generally has presumed rights to children born during marriage to his wife. However, an unmarried father may need to establish himself as the baby's presumed father to preserve his right to disagree with the birth mother's adoption consent. 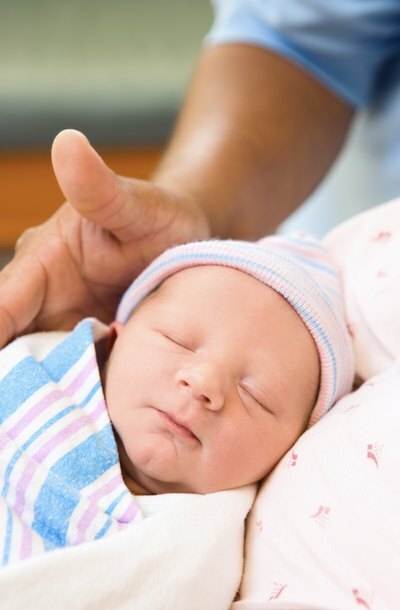 An unmarried father may have parental rights if he agreed to include his name on the child's birth certificate after the child's birth or he signed a voluntary acknowledgment of paternity. Colorado state law sets the required procedures for an adoption consent by the birth parents. The birth parent must usually participate in pre-adoption counseling by a licensed adoption agency or county department of social services. After counseling, the birth parent may surrender parental rights by filing a Petition for Relinquishment with the local Colorado juvenile court. The petition must include both birth parents' names, if both have parental rights to surrender, child's name and names of any other involved parties such as the prospective adoptive parents. The juvenile court reviews the petition and may set a court hearing. If the court approves the relinquishment, the court transfers custody rights to the adoptive parent, adoption agency or county department of social services. If a birth parent surrenders a child for adoption but later changes her mind, Colorado adoption law allows a limited period of time for a change of heart. A parent can ask the court to revoke the adoption consent within 90 days of the court order for relinquishment, but the parent must give clear and convincing evidence that fraud or duress was the cause of her decision to relinquish her parental rights. Child Welfare Information Gateway: Are You Pregnant and Thinking About Adoption?